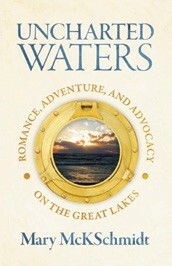 With an abiding, lifelong love of Lake Michigan inspired by the gift of A Childs’ Garden of Verses by Robert Louis Stevenson when she was a child, Mary McKSchmidt met the man she would marry, a self-described “boataholic” named Rubin, shortly after graduating from Michigan State University and was soon crewing on his Hobie Cat. 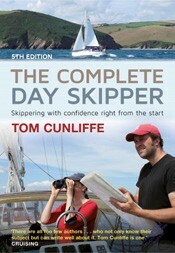 Larger boats and adventures throughout the lakes would follow over the next three decades. 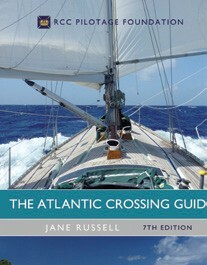 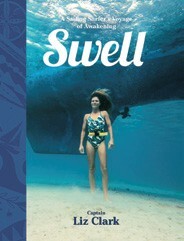 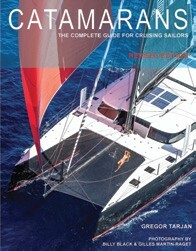 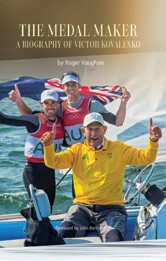 Chapters cover such topics as the advantages of multihulls, essential things to look for when shopping for a cruising cat, design, dynamics, and construction, hulls, appendages and rigs (with diagrams by the author), along with checklists for long range cruising and routine maintenance. 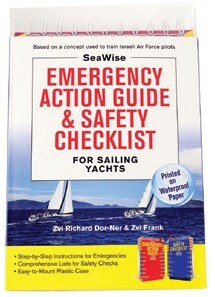 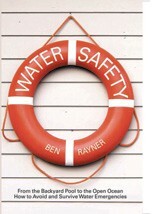 Based on a concept used to train Israeli Air Force pilots, the SeaWise Emergency Action Guide & Safety Checklist for Sailing Yachts has a tab-based flip book design that makes it easy to use for emergencies at sea that demand fast and effective responses.